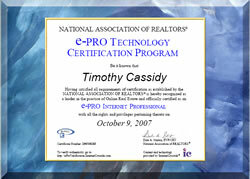 Tim Cassidy is e-PRO Certified! 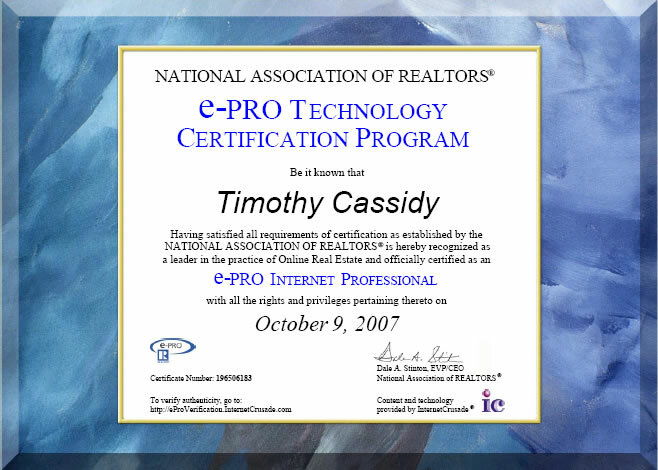 Tim Cassidy's e-PRO certification guarantees that his customers will have confidence that he is proactive and savvy about the Internet. Tim takes the Connected Consumer seriously and will meet your online needs. An e-PRO is a REALTOR® who has successfully completed the e-PRO training program for real estate professionals. Endorsed by the National Association of REALTORS®, the e-PRO course teaches professionals like Tim Cassidy the nuts and bolts of working with real estate on-line. This includes Web sites, e-mail, on-line tools, and what today's consumer really wants. Should you use an e-PRO? Yes — especially if you're an Internet user. In this fast-paced age, technology has become a necessity. 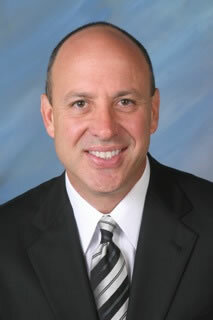 As an e-PRO, Tim Cassidy has recognized and responded to the needs of the new consumer. If you choose an e-PRO like Tim Cassidy, you'll get the kind of service you want and need. e-PROs respect your privacy! They respond quickly to your questions, but don't send you unwanted communication. And they protect your personal information. With electronic files, you have less paperwork to deal with. And since Tim Cassidy uses e-mail, phone tag is a thing of the past. The e-PRO streamlines your entire transaction, from showing to closing. As an e-PRO, Tim Cassidy has access to advanced technology that can save you considerable expense. You have more tools to find or market your home, so you're likely to get a better price. With on-line home tours, you reduce in-person showings and the costs involved. And by using e-mail, you save money on long-distance calls and fax charges. Are you relocating? An e-PRO is ideal for you. With the tools to do your research electronically, you can make a decision on a home the first day you're in town — or without traveling at all. You and your family save on travel costs. And after you've decided to buy, monitoring the sale by e-mail saves you even more.